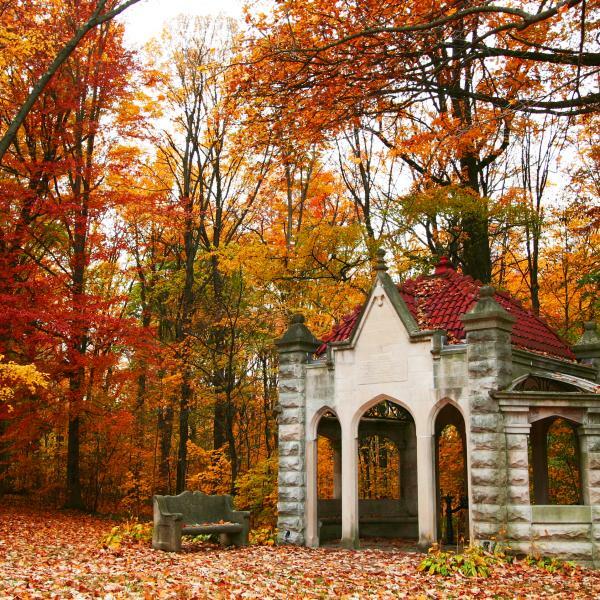 Often cited as one of the most beautiful campuses in the country, the beauty of Indiana University is well known. 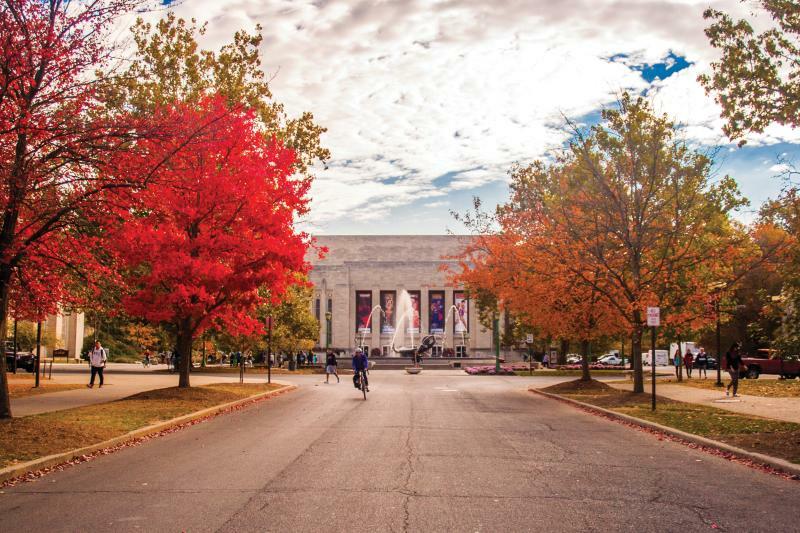 No trip to IU is complete without visiting the legendary sports facilities and unique museums but take some time to explore the grounds and discover these icons around campus. 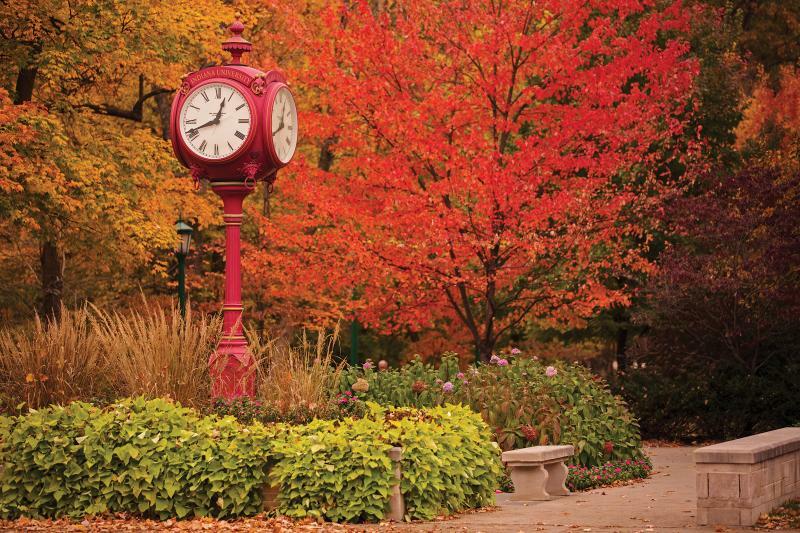 There are four of these iconic clocks on campus. Find one at the top of the hour, and hear the fight song play. 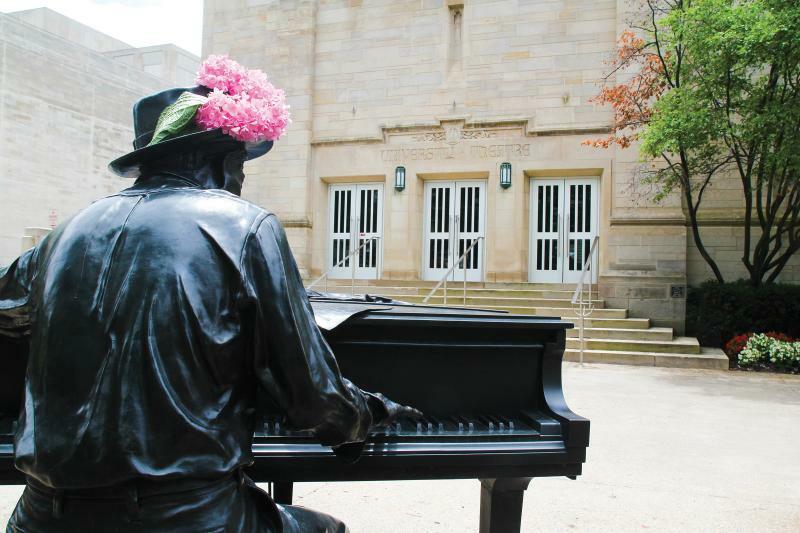 The "Stardust" musician sits in front of the IU Cinema. 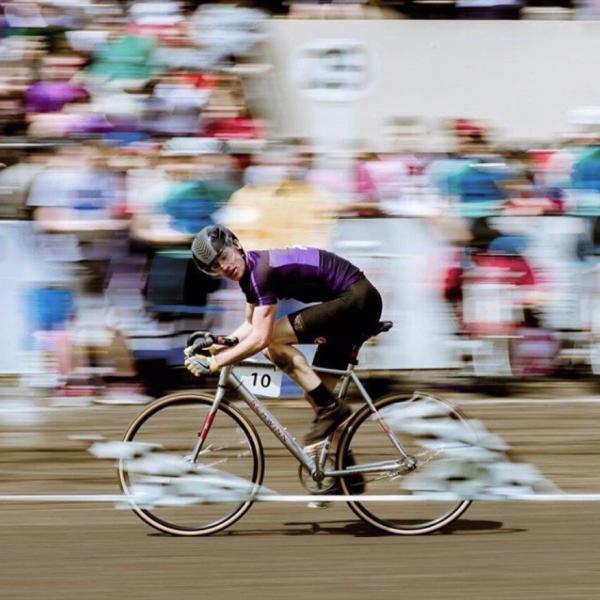 Look for the Ernie Pyle and Herman B Wells statues on campus too. 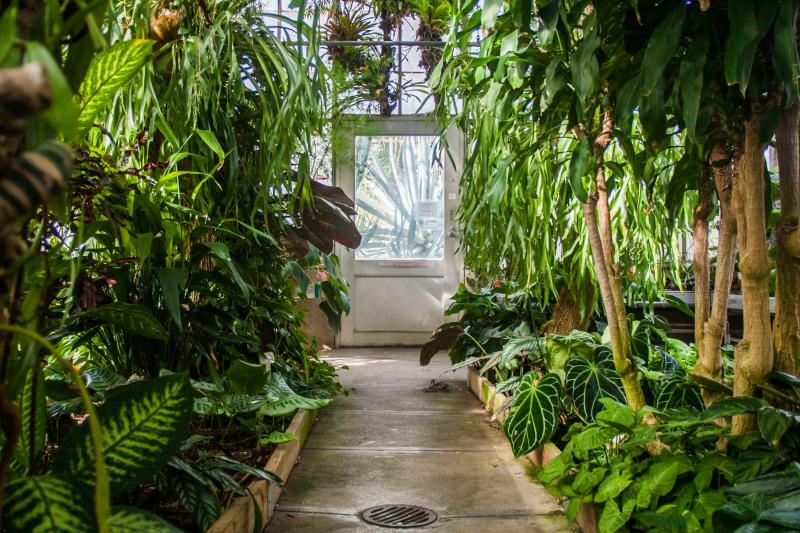 This picturesque spot is a thriving greenhouse of unusual, exotic plants from every corner of the world. 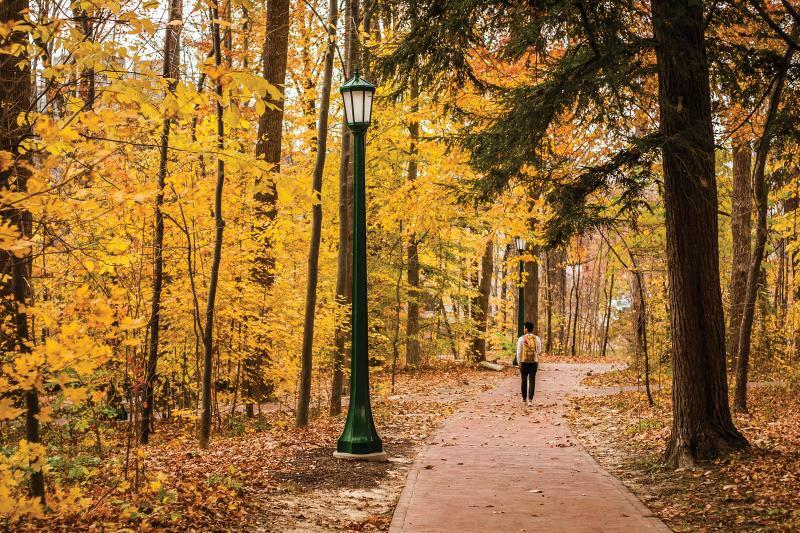 This beautiful forest towers over the heart of campus, with walking paths for students and visitors to enjoy. 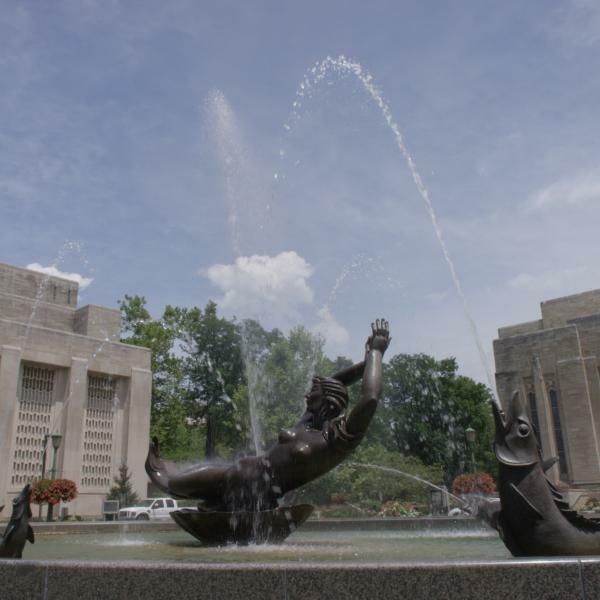 The landmark fountain depicting "The Birth of Venus" is located at the center of the Fine Arts Plaza. 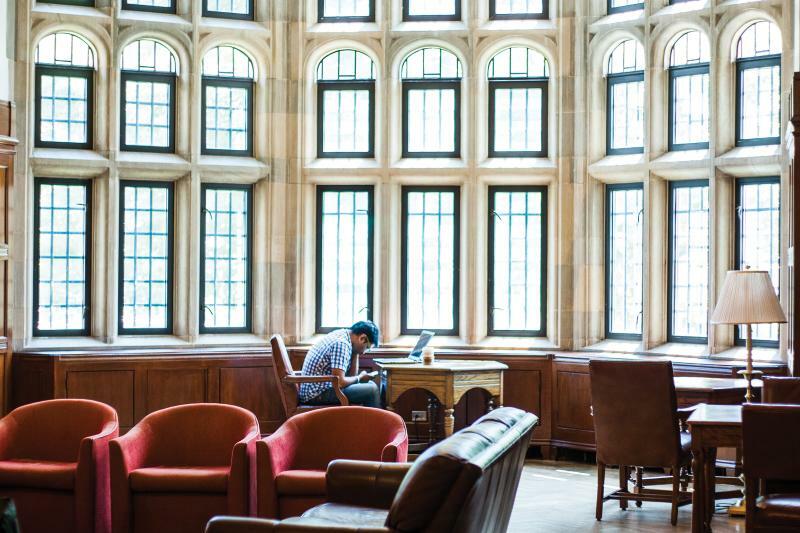 A roaring fireplace, comfortable armchairs, and abundant natural light greet you in the East Lounge of the IMU. 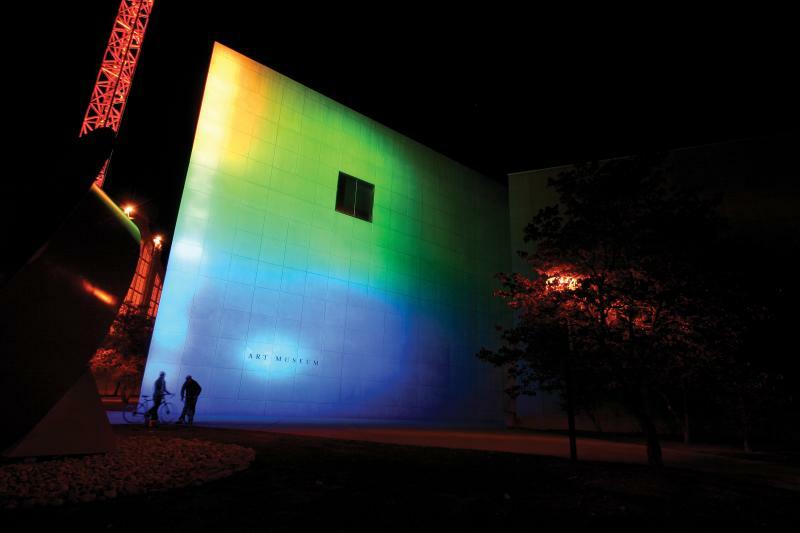 Visiting this light sculpture at night and watching the colors change is a bucket list item for most Hoosiers. 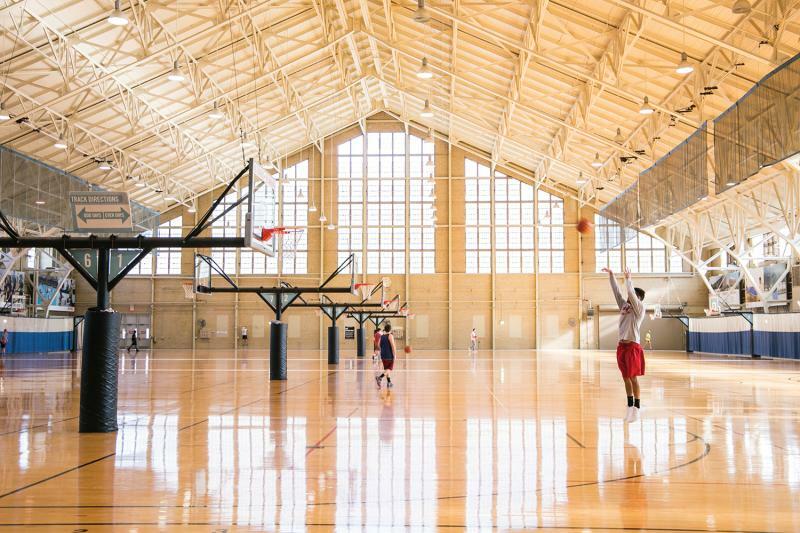 Built in 1928, this gymnasium is a long-standing ode to IU&apos;s storied basketball tradition. 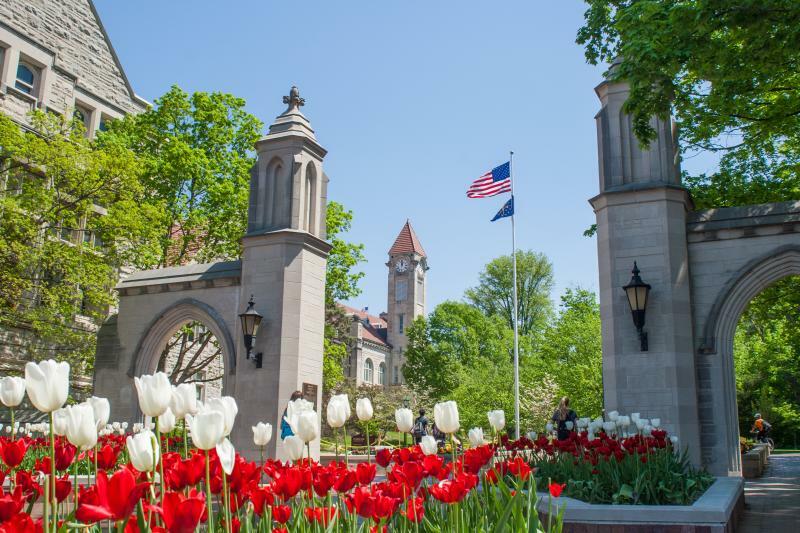 The Sample Gates are photogenic all year round, but the red & white tulips in the spring are a must-see. 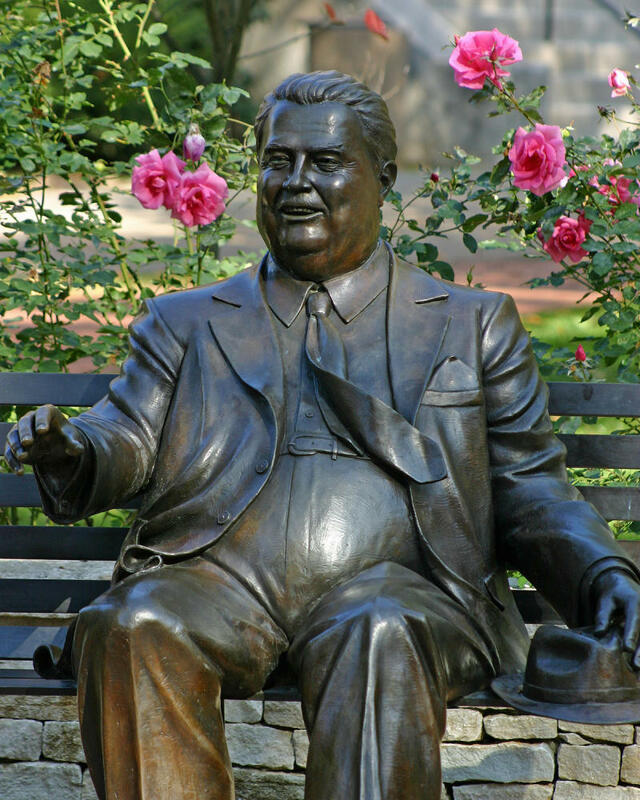 In his honor, there is a statue of IU legend Herman B Wells in the Old Crescent. Shake his hand, it&apos;s supposed to be good luck! 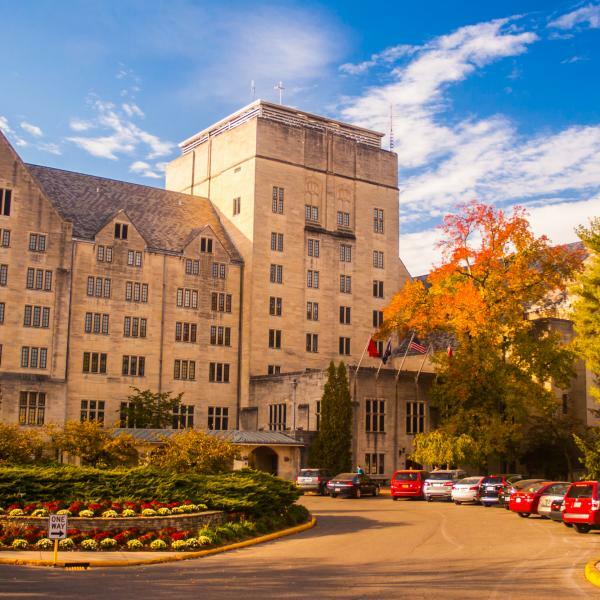 The home of the Hoosiers is not only an IU icon but a sports icon. 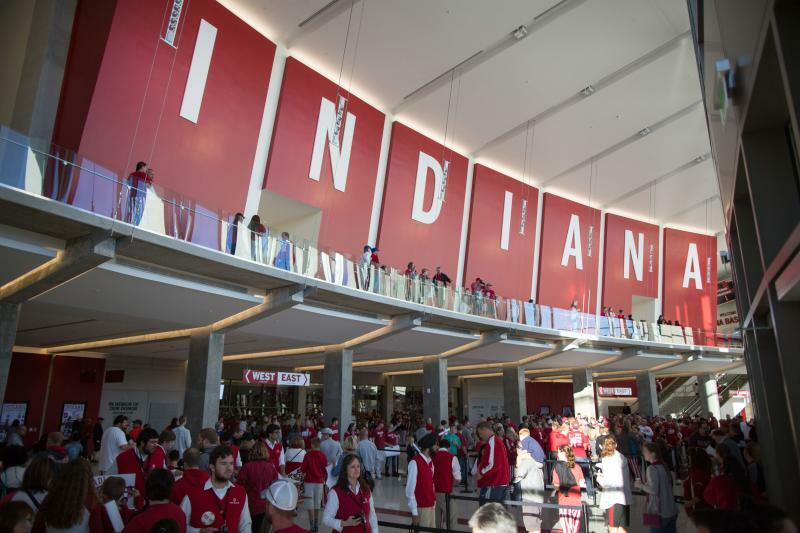 The stories and (numerous) wins have cemented Simon Skjodt Assembly Hall in sports history. 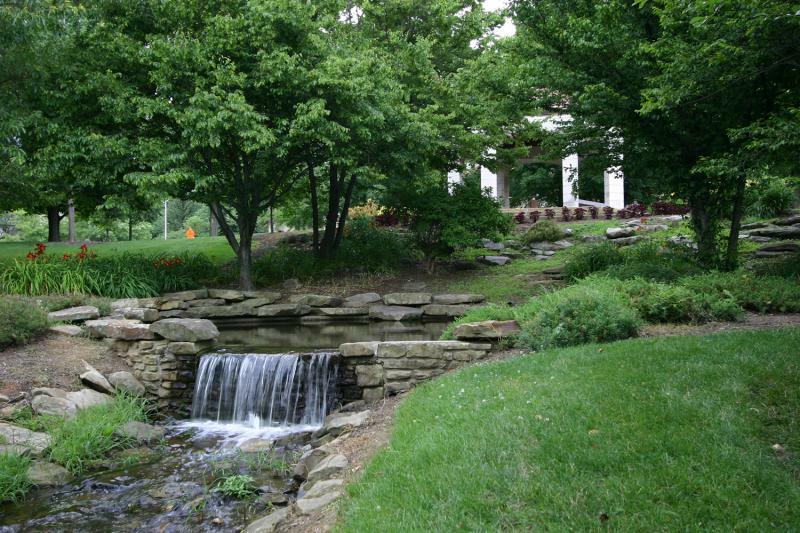 The IU Arboretum is the perfect open green space in the middle of campus to study, throw a football, or just sit and relax. 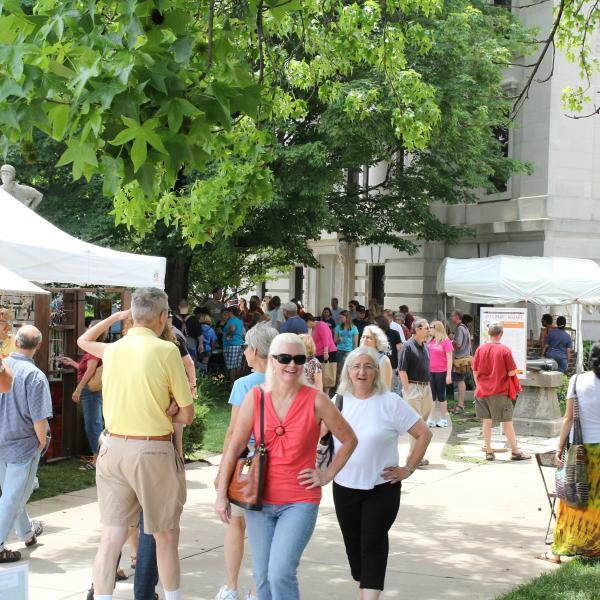 The World&apos;s Greatest College Weekend is right here in Bloomington.